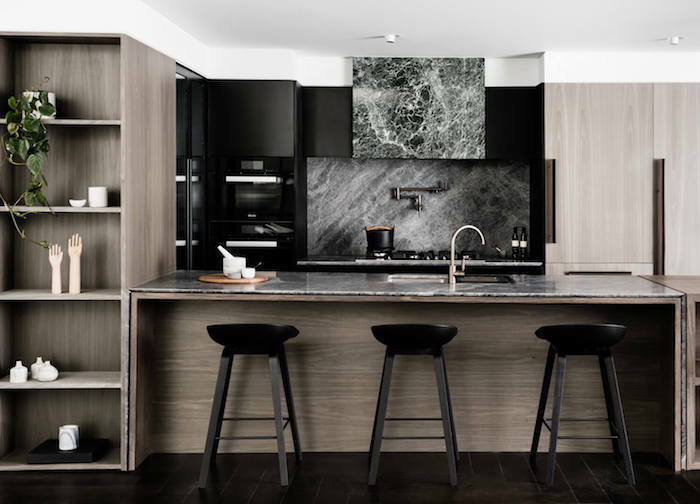 Dark cabinetry and accents give a sense of sophistication and boldness to this Melbourne kitchen designed by architect Elenberg Fraser. 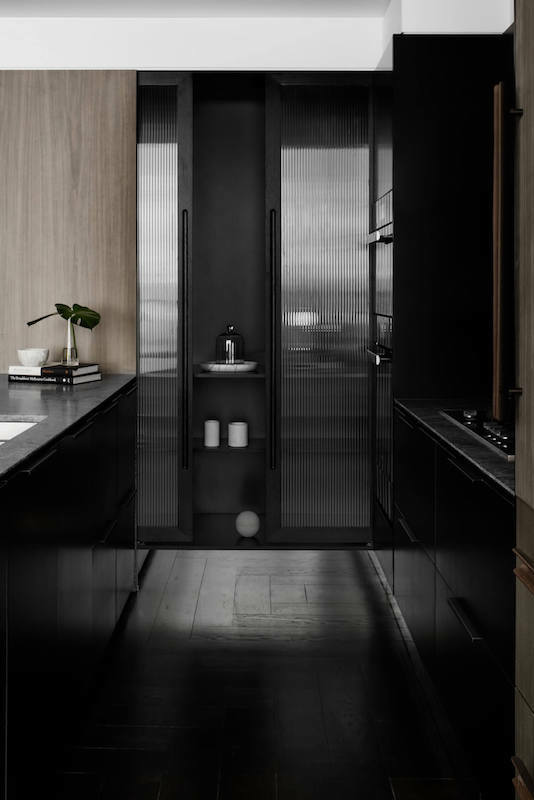 A natural palette of raw materials; green marble, timber cabinetry and dark stained floors are offset against frosted black framed panelled doors. The result is striking and masculine.